An awesome coil spring automatic knife made by a knifemaker from Zlatoust, Russia for A.G.A. Campolin who made the design. Gold plated with real gold fineness 999 coating electroplating. Steel 40Х10С2М. Elegant luxury wood box, with velvet inside, sheath and certificate. 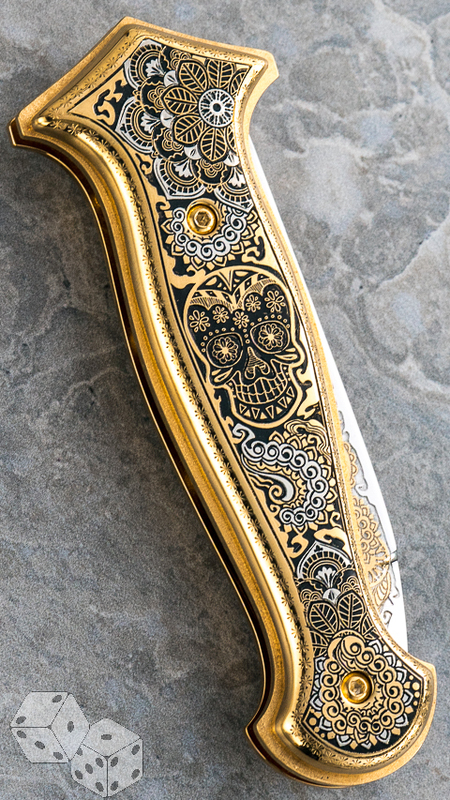 This knife is impressive. Excellent quality and finishing.